Halloween is fun for both adults and kids; it’s the (mostly) one night a year that we can dress up and not be ourselves. For parents like myself, it means having to decide who has the kids this year for the holiday and possibly missing trick-or-treating with them every other year. Being half of a separated or divorced couple is hard on families for so many reasons, but holidays are one major contribution to the difficulty of figuring out with which parent the kids get to spend time. Over the past couple of years, we’ve decided on re-dos. Just because Halloween is over doesn’t mean the candy is gone. And, we get a chance to celebrate with our kids again by making fun Halloween treats and watching scary(ish) movies. Unless you live in a really weird neighborhood, it’s not likely that you’ll be trick-or-treating again. But, you can relive the holiday fun with your kids using a few foods around the house, some leftover candy, and a little bit of creativity. 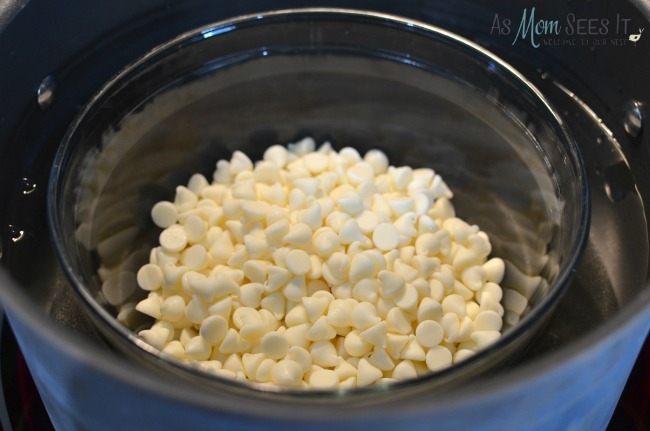 We gathered some leftover candy, some white chocolate chips (which can also be melted down white chocolate bars or candy! ), candy balls, OREOs, and of course, delicious Snack Pack Puddings! If you have kids, you HAVE these in your fridge. They’re like, the easiest thing you can throw in a packed lunch and they’re a great after school snack. 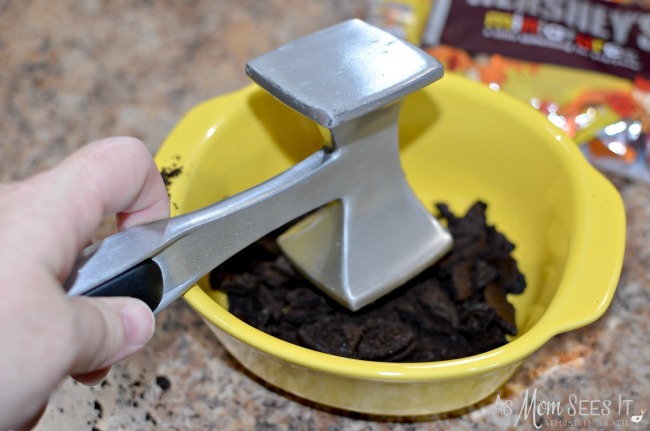 Take the cream out of about 5 OREO cookies and crush them. Should the cream happen to find it’s way to your kids mouths, so be it. But really, this dessert is sweet enough so maybe put them in another Oreo to make a Double Stuff. Crushing the OREO cookies is a great job for the kids! 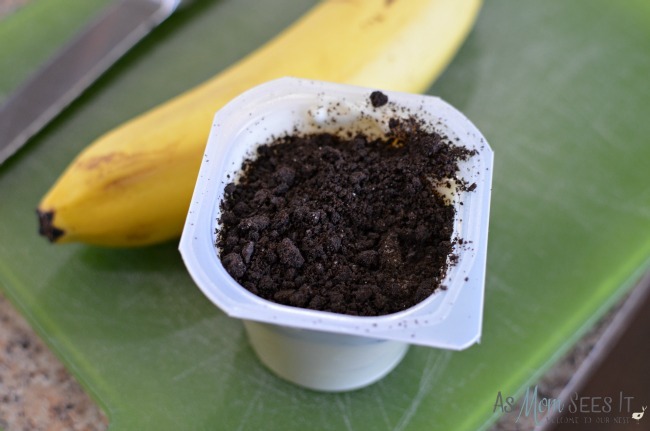 Then, put the crushed OREOs in the Snack Pack Pudding Cups. The Super Snack size is the best, and you can find them at Walmart. You’ve seen a variety of these with gummy worms or the like, but we put a fun Halloween twist on them. We melted the white chocolate in the microwave and dipped a banana half into it and plopped them into the pudding cup. You don’t have to dip the banana because technically, it’s already white, but if your kids don’t like fruit, they’re more likely to eat them and they really wanted to do more to be active in making these. It’s easy to dip anything in chocolate. Even bananas! 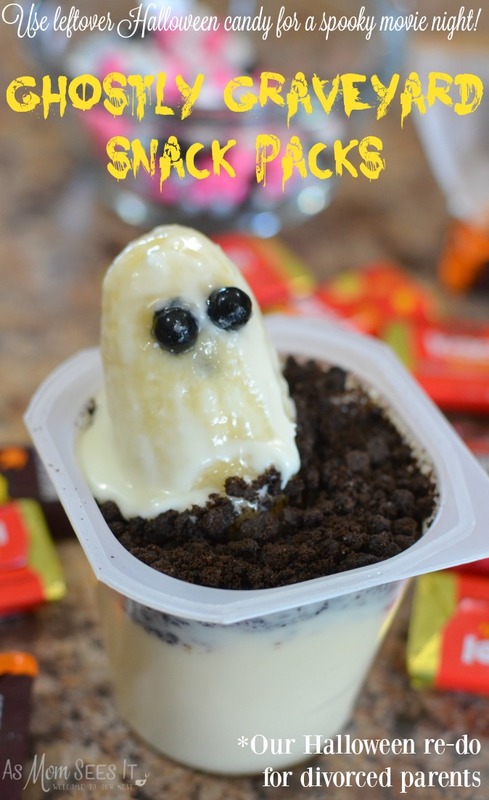 Coming soon on the blog… Ghostly Snack Pack Pudding Cups! The don’t have to be perfect. They can be gooey and messy, which I think, makes them taste better. Use any small, round candy as eyes. And voilà! Ghostly Graveyard Snack Packs for a spooky movie night, even after Halloween! 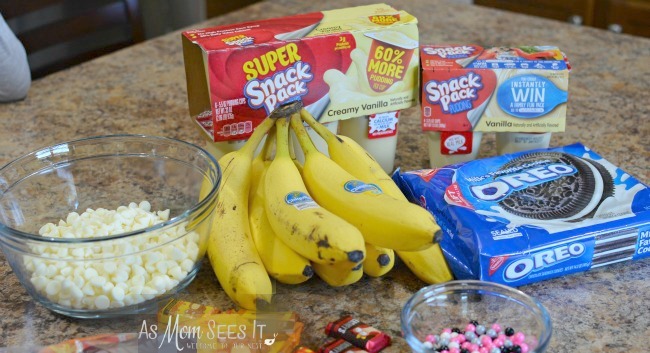 What’s your favorite Snack Pack Mix In?